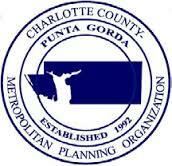 The Charlotte County-Punta Gorda MPO is working with Charlotte County and the City of Punta Gorda to create Charlotte County’s first ever Regional Bicycle-Pedestrian Master Plan! This exciting study will define a plan to build a better and more complete network of bike lanes, sidewalks, and trails to make it easier and safer to walk and bike around Charlotte County. When it comes to knowing where the concerns, issues, and opportunities are around the county, the people that live in, work in, and visit Charlotte County are the best people to turn to. For that reason, we need you! Do you want to see a new bike lane, sidewalk, or trail? Is there a spot you think could be safer for walkers or cyclists? Or is there something out there that you love and want to see more of? Click at the bottom to add comments to our interactive map! You can even upload photos if there’s a spot you want to show us or a suggestion from another place.